A long time ago, computer video games had more to do with ‘games’ than with actual ‘video’. Back in the 1970s and early 1980s, adventuring in video games meant you had to physically type in words with your keyboard (the horror! ), using many more letters than just the WASD keys. 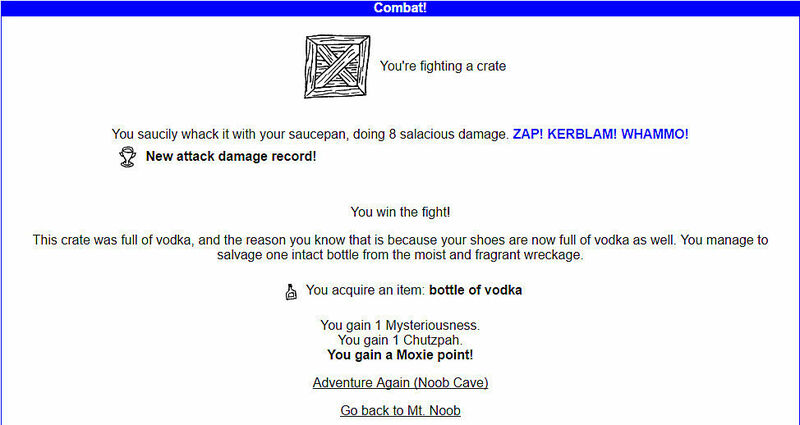 But thanks to the quality of those outstanding text adventure classics such as Zork and The Hitchhiker's Guide to the Galaxy, scenes from those games are burned into my mind as strongly as scenes from any Ultima, Fallout, or Half-Life game. Now that we’re in 2016, the year of VR (and AR, as Pokemon GO illustrates), video seems to be on equal ground with their games half, sometimes getting more attention, sometimes less. 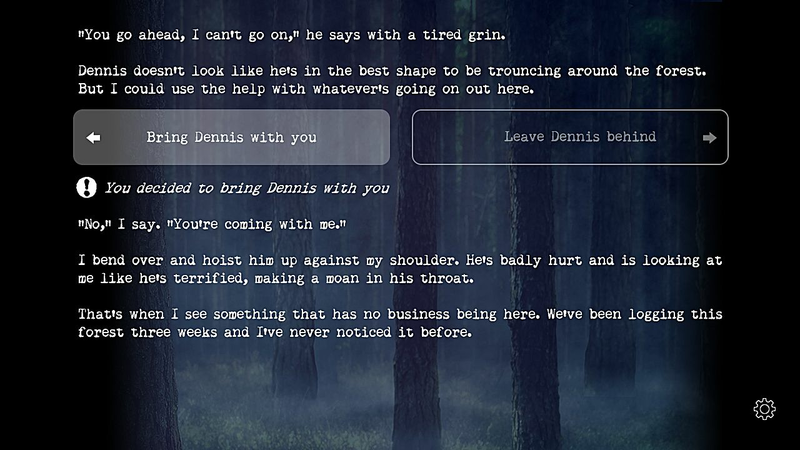 But amidst all the drive for making video games a visually pleasing experience, it’s nice to know there are developers out there who are still making text adventures, and making them well. 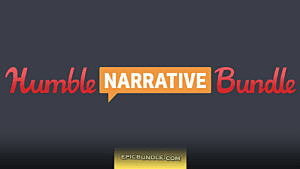 Now called interactive fiction, these video games rely more heavily on high quality writing to base the story on, and support the gamer with, along the entire adventure. While flashy graphics may still be used, it’s mostly there to embellish the power of the text, not to replace it. 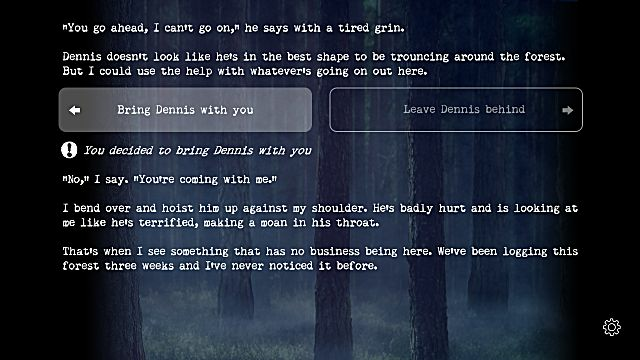 Here’s a look at five of those interactive fiction games that should be on your playlist. These five are paying homage to the text adventures of yesteryear, while at the same time keeping the genre alive, and pushing it in new and exciting directions. 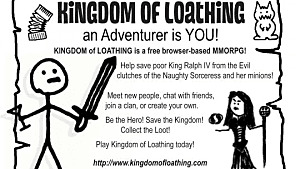 Kingdom of Loathing (KoL) is a text adventure browser-based RPG released in 2003 and developed by Asymmetric Publications. KoL has some of the funniest written lines and humorous graphics of any popular AAA video game. It’s that original whimsical writing and art that keeps me poking in and through the game time after time. Much of the gameplay is an obvious friendly jab at many video game tropes, and does a wonderful job at poking fun at more popular video games and the gamers who play them. For example, some of the six character classes include Disco Bandit, Pastamancer, and Turtle Tamer. Familiars are available in game, including a Hovering Sombrero, and the ultimate Ninja Pirate Zombie Robot. KoL does have a tutorial for beginner players, given and guided by ‘The Toot Oriole’ of Mt. Noob. There’s also a crafting system, where you can make food, booze, armor, and weapons. KoL is free to play, but you may also give a donation to help cover the game’s hosting, development, and maintenance. The game also offers forums, The Kingdom of Loathing Podcast, and an “unofficial Kingdom of Loathing Shoutcast station”. Really, give yourself a treat today and log into and play KoL. I think you’ll like it. In 2009, Failbetter Games released their browser-based masterpiece, Fallen London. 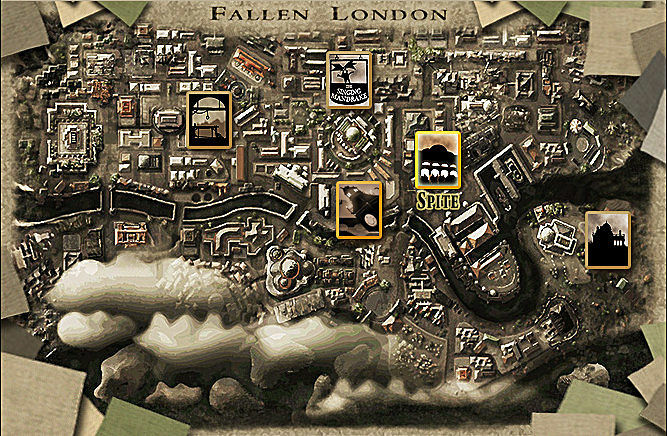 Take the grand city of London during the Victorian era, have it stolen by a swarm of bats, and sent a mile underground, and you have the wonderful premise that is Fallen London. Add to that a unique and highly imaginative writing style that totals upwards of one and a half million words, and it’s no wonder the game is so good. The game has an incredibly rich story, with perhaps thousands of different choices to make to get through it. There are no set classes to choose from, but rather you can choose to focus on being a Watchful, Shadowy, Dangerous, or Persuasive character, or a combination of any and all. You may also outfit your character in the latest Gothic-styled equipment, including hats, clothing, boots, gloves, and weapons. And what’s more, you may own your own house, or ship, and may also get married, if you wish. Image credit: Failbetter Games LTD. Fallen London is free to play, and offers easy login via social media profiles. It was also recently made available for iOS devices, and I’m hoping there’s an Android version on the way soon, as well. Wanna guess what Time Magazine’s 2014 Game of the Year was? Yep, it was 80 Days, an interactive fiction video game that beat out the likes of Middle-earth: Shadow of Mordor, Dragon Age Inquisition, and Hearthstone for that coveted title. It has also won numerous other lofty video game awards since then, including four BAFTA Games award nominations. 80 Days was developed by inkle Studios, which, by the way, was only created three years earlier in 2011. Not a bad way to begin a video game career. 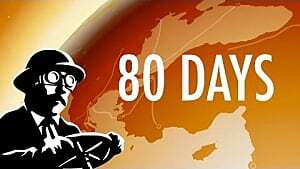 80 Days puts you into the role of Phileas Fogg’s valet Passepartout, as you work to plan and execute an attempt at travelling around planet Earth in full steampunk style in 1872. Oh, and you have only 80 days to do it. Gyrocopters, hydrofoils, steam trains, and horseback are just a few of the many modes of transportation you have available. Furthermore, you’re not only racing the clock, but other players, as well. The game has an ample dose of lovely graphics, both static and moving, but even those pale in comparison to the fantastic writing. And rightly so. For a video game to carry on Jules Verne’s superbly written "Around the World in Eighty Days", it had to be written to match. Showing just how fun and engaging a novel in video game form can be, 80 Days is certainly not one to miss. If you grew up reading "Choose Your Own Adventure" books, then it’s a good bet you read "Steve Jackson’s Sorcery!" series. 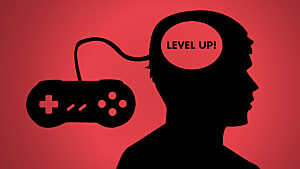 The question is, have you played them as video games yet? In early 2016, inkle Studios published these favorite books as interactive fiction video games. Sorcery! parts 1, 2, and 3 are now available on Steam, with a part 4 scheduled for release later this year. 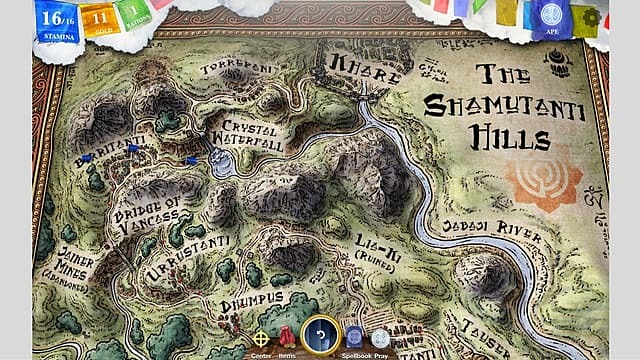 Shamutanti Hills, Kharé, Cityport of Thieves, and the Seven Serpents all make their appearances in these games, which play out as vividly as their books did. The combat scenes are well done here, kept simple enough to easily get into, while also throwing in enough flash to keep it interesting. 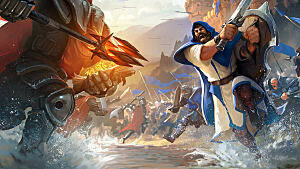 Check out the videos of Yogscast’s Lewis and Simon as they play through the Sorcery! series. Buried (from Bromoco Games) is another early 2016 release, after having been a successful Steam Greenlight game. The game has only text overlaid on background photos, with a dark and creepy soundscape to blend it all together. Buried will probably only take you about 3 or so hours to play. 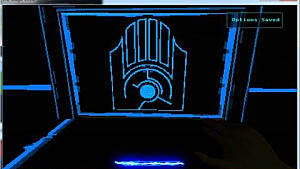 But don’t let any of that detract from what it really is: a suspenseful mystery/horror/sci-fi interactive tale that’s well worth the $3 price tag, and then some. Buried has a deep story, with many paths to go down based solely on your choices. Not much else to say about it except that I do wish it would have been an hour or so longer. I highly suggest you get it and play the story for yourself. There’s my brief look at some current top shelf interactive fiction games available to you. I’m a big fan of the genre, and I graciously hope more video game devs and pubs jump into it and create more great interactive fiction stories. 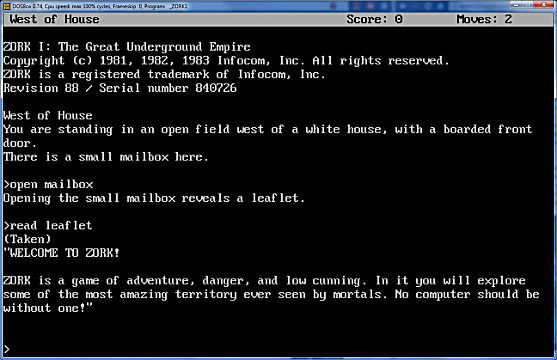 I know how much I would love to see the Zork series rebooted, and this is one way to make that happen! Sorcery! header image credit: inkle LTD.